It's cool that Alex is doing something. Got no clue who the other guy is though. He's played with Steven Wilson, Joe Satriani, The Aristocrats (with Guthrie Govan), many others. He's a monster drummer. He also has a KILLER project called Levin Minneman Rudess - himself, Tony Levin and Jordan Rudess. He also plays guitar, and was considered to replace Mike Portnoy in Dream Theater. This would be an amazing thing if it actually happens. Minnemann is one of my favorite drummers. My daughter and I met the band, including him and SW, after a Steven Wilson concert. Aside from being wildly talented, he was unbelievably approachable and friendly. That's amazing! He seems very down to earth. A friend of mine has interviewed him, and said he was the coolest guy to talk to. This is fantastic.Minnemann is a fantastic drummer. His work with Gilbert and Goven is super. He is a humble guy for such skills. Seems musicians with incredible talent, generally, have no bad attitude and ego being very humble and friendly. Looking forward to this with the present Rush wilderness. This is going to be fantastic. I am super excited! 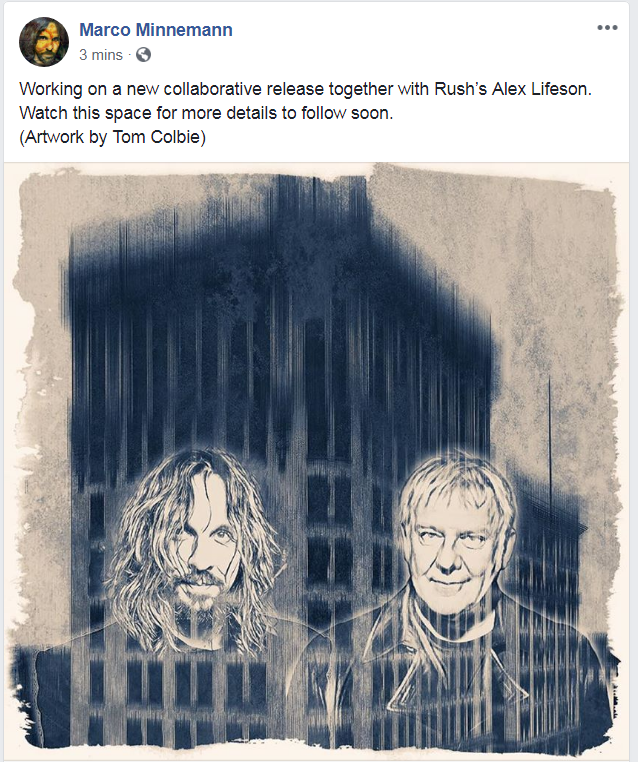 Looks like Rush found its new drummer, now they only need a singer. He is also the guy who tried to the next dt drummer but was beat by mangini. He is a monster as said above. Iirc he has played some extreme super tech metal too. So this seems like great news!!! Best thing is this isn't going to sound anything like Rush......This will be all over the map stylistically. I'd pay to see this live. That's a super interesting duo. Both of them are virtuosos of their instruments, but also very explosive stylistically. Honestly, in the rock world, if there was a Lifeson approach to drumming, Minneman could be it. Hopefully it's pure metal! With a little bit of prog on the edges to shut up the RUSH femme boy fan girl synth-era maniacs! I hope Alex goes for a more organic guitar tone and more dynamic production values. Great news! Thanks for posting Rod!!! German/Canadian collaboration - I love it!!! Alex played on three tracks of Minnemann*s last album. On That Note is a 9 minute psychedelic ride where Alex shows, how smoking pot, is a creative way to lay down some cool guitar parts. He's also playing acoustic and FX guitars, on the 6 minute remix version. South End is four minutes long and a little bit more straight forward, but still very spacy. Alex has some fantastic moments in this song.